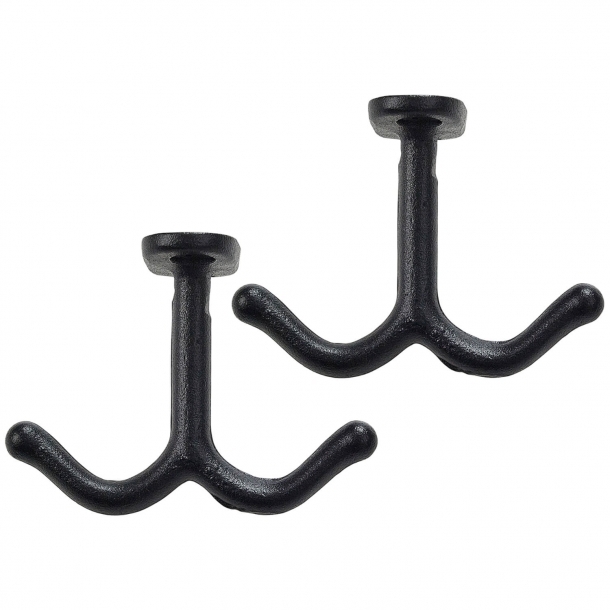 Black aluminum hook - Model 140 - 2 pcs. 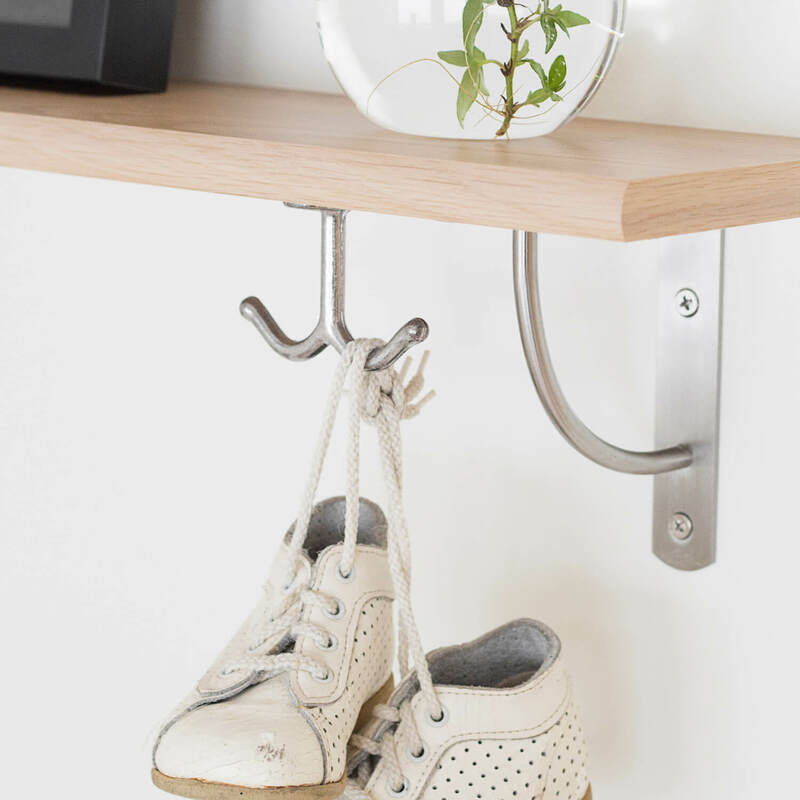 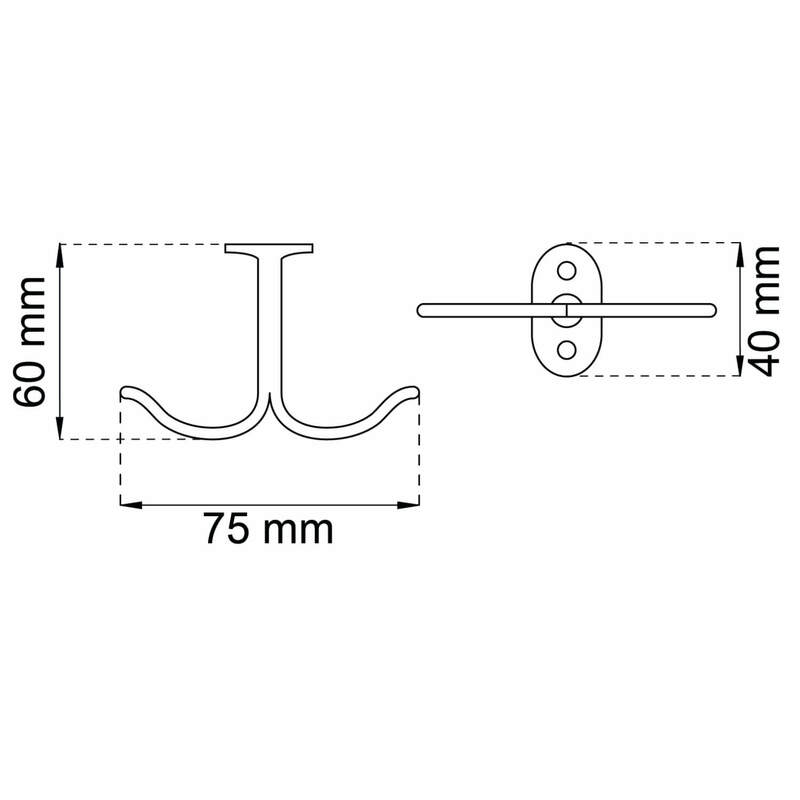 This hat hook is equiped with 2 coat hooks and is made of chrome plated brass. 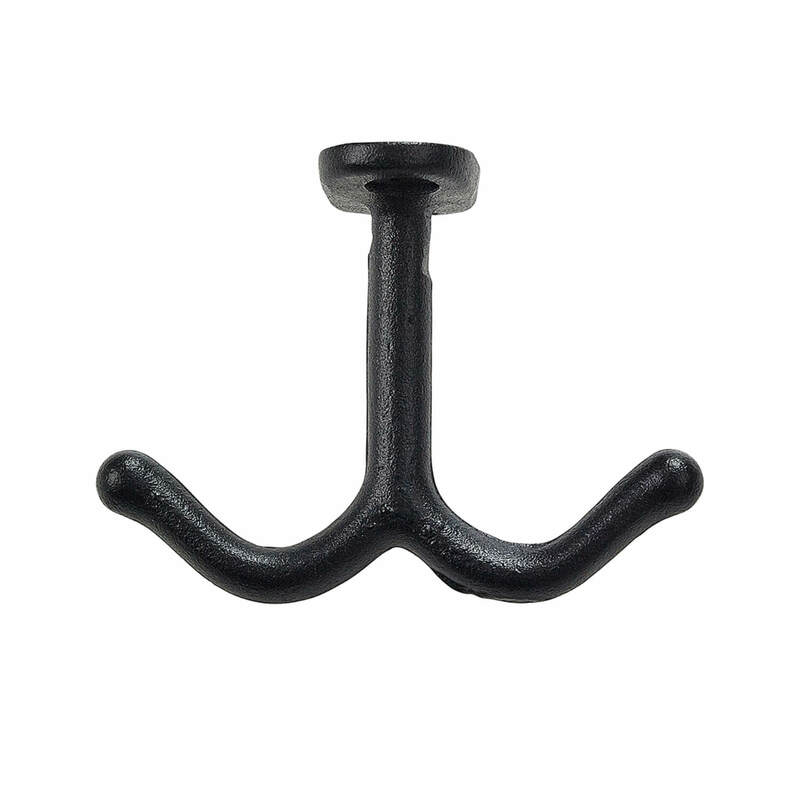 The hat hook is sold seperately with screws for assembly.